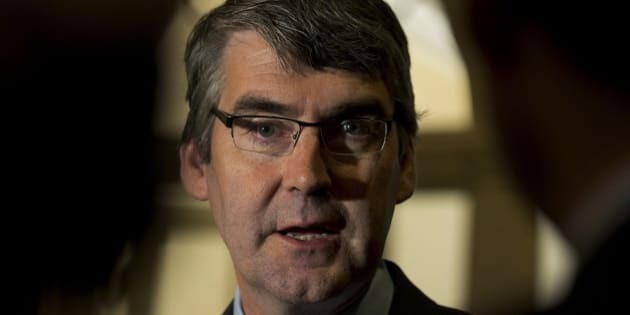 HALIFAX - Nova Scotia Premier Stephen McNeil will issue a formal apology to people who allege they suffered years of abuse at an orphanage in Halifax, his spokeswoman said Wednesday. Laurel Munroe said in an email that McNeil will make the apology to former residents of the Nova Scotia Home for Colored Children on Friday, but offered no other information. "The premier will issue the apology," she said. "I can't give any other details at this point." Tony Smith, co-chairman of a group that represents former residents, said an apology will be a meaningful gesture for many of those who lived in the facility. "It's going to be a great day and it's going to be a day that a lot of us thought was never going to happen," he said from his home. "A lot of people went to their graves without this happening. This is going to mean a lot to a lot of people." The apology comes on the same day payouts from a $34-million award for the former residents of the home were supposed to start being dispersed. The home came to a $5-million settlement with the plaintiffs in July 2013 and the provincial Supreme Court approved a $29-million award from the province a year later. The compensation agreement finalized in July is broken into two payout categories. The first is a common experience settlement, which applies to all residents who lived in the Halifax orphanage between Jan. 1, 1921, and Dec. 31, 1989. The second and lengthier settlement category is an individual assessment program, which would address additional harms beyond those suffered by residents at large, including sexual abuse. Only residents of the Home for Colored Children after Nov. 1, 1951, would be eligible. Former residents allege physical, psychological and sexual abuse over several decades at the orphanage after it opened in 1921. The Liberal government has also promised to hold a public inquiry into the alleged abuse at the home.